Am Oved (the words mean "Working Nation") has been one of Israel's leading publishing houses for over six decades. It was founded in 1942 by Berl Katzenelson (who became its first Editor in Chief) as an organ of the Histadrut (the Labor Federation), and originally defined its aim as "to meet the spiritual needs of the working public." 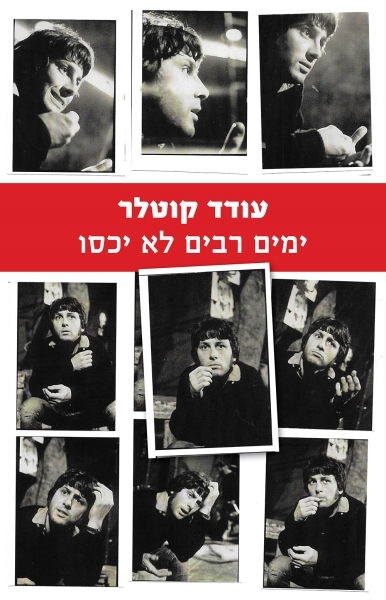 By the following decade the familiar format of the Sifriyah La'am (People's Library), Am Oved's showcase fiction series, became a trademark of Hebrew letters comparable to Penguin's highly identifiable and prestigious orange paperbacks. Today Am Oved embraces a broader definition of its aims, seeking to enrich the cultural experience of readers of Hebrew from all walks of life with high-quality, widely-appealing books in a great variety of genres. more than 5000 titles published over the years have sold millions of copies and adorn the bookshelves in almost every Israeli home. Currently the company publishes close to 100 new titles annually, in addition to about 250 reprints from its rich backlist of perennial classics, both Hebrew and translated. 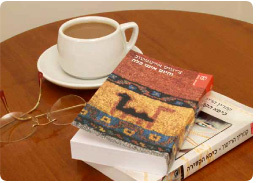 The core of Am Oved's activity is the Sifriyah La'am, widely considered as Israel's leading series of literary fiction. It has so far published some 550 titles, and is still going strong at the rate of 16 new titles annually. Under this imprint, Am Oved is home for both veteran and younger Israeli authors, many of whom are real household names: Eli Amir, Hayim Be'er, Ida Fink, Yael Hedaya, Shiffra Horn, Yehoshua Kenaz, Ronnit Matalon, Aharon Megged, Sammy Michael, Dorrit Rabinian, Meir Shalev, Anton Shammas, Moshe Shamir, Sarah Shiloh, Yuval Shimony and numerous others. The Sifriya La'am prides itself on its ambitious translation program. Regularly included in its list are several contemporary masters such as Paul Auster, J. M. Coetzee, Ian McEwan, Gabriel García Márquez or Antonio Muñoz Molina. Other major contermporary international talents it has featured include Chingis Aitmatov, António Lobo Antunes, Roberto Bolaño, A. C. Byatt, Peter Carey, Michael Chabon, Lucía Ecxeverría, Jonathan Franzen, Nadine Gordimer, Kathryn Harrison, Eva Hoffman, Jamaica Kincaid, Mario Vargas Llosa and Tobias Wolff. Over the years the Sifriyah La'am has published many older classics by Balzac, Chekhov, Conrad, Dickens, Dostoyevski, Flaubert, James, Kafka, Mann, Maupassant, R.L. Stevenson, Tolstoy etc., as well as numerous 20th Century greats such as Bashevis Singer, Bulgakov, Camus, Fitzgerald, Faulkner, Graham Greene, Kazantzakis, Mauriac, Nabokov, Orwell, Salinger and Simenon. Currently the Sifriya La'am is edited by the team of, Moshe Ron, Youval Shimoni and Tirza Biron-Fried. 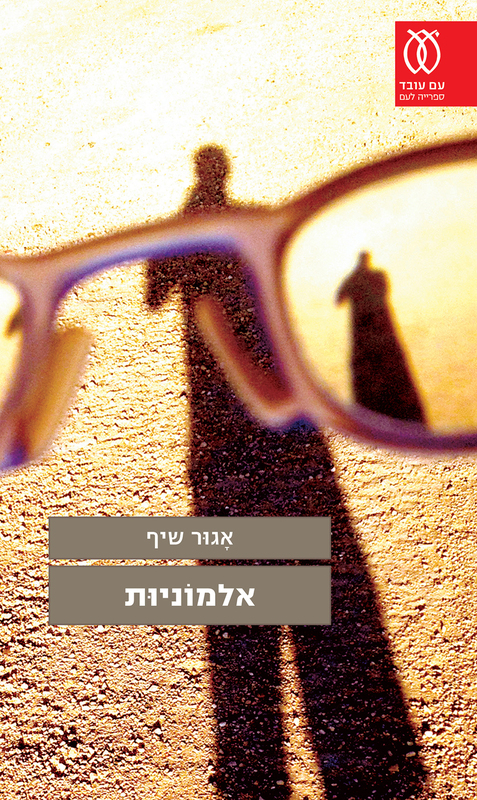 This series, edited by Ilana Hammerman, specializes in modern works of fiction aimed at an audience attuned to non-standard, innovative, even "difficult", voices in Israeli and world literature. Its more than 50 published titles include Yuval Shimoni's first book, The Flight of the Dove, as well as translated work by Henry James and Kafka, Borges and Onetti, Sarraute, Bernhard and D'Aguiar. Prosa Aheret has branched out into two kinds of non-fiction as well: essays, characterized by the author's personal attitude to contemporary cultural issues, such as Jean Emery's essays on the Holocaust or Jürgen Nierad's essay on Nietzsche; and a documentary series, Teuda (established 2002) including memoirs such as the anonymous Eine Frau in Berlin and Noël Favrelière's Le Desert à l'aube. This is Am Oved's major series of non-fiction. Edited by Eli Shaltiel, it has published many dozens of titles in a variety of fields: Science, Nature, Social Studies, History, Philosophy, Psychology, Biography, and the Arts. Here is a small sample of Ofakim's seminal offerings: Saul Friedlander, Quand vient le souvenir; Ian Kershaw, Hitler; Benny Morris, The Birth of the Palestinian Refugee Problem; Alan Bloom, The Closing of the American Mind; Edward Said, Orientalism; as well as work by Bernard Lewis, Bruno Bettelheim, Isaiah Berlin, Primo Levi, Irwin Yalom, Susan Sontag, Henri Petroski and many others. Recently Ofakim expanded its science component into a series in its own right, Ofakim Mada ("Science"), edited by Atalia Zilber. Am Oved's active children and young readers department features world classics in translation such as Le Petit prince by Saint-Exupéry and several books by Beatrix Potter, as well as bestselling work by Israeli authors (and illustrators), such as David Grossman, Meir Shalev, Haya Shenhav, Nira Har'el, Efraim Sidon and Yossi Aboulafia. Am Oved's Science Fiction & Fantasy series is the longest-standing venture of its kind in Israeli publishing, featuring work by the likes of Frank Herbert, Roger Zelazny, Robert Heinlein and numerous others. Alpayim ("2000"), a multidisciplinary publication for contemporary thought and literature edited by Nitza Drory-Peremen. Olamot ("Worlds"), edited by Moshe Gilad, is the only series entirely devoted to travel in Israeli publishing. , a series edited by Nir Baram, 972 publishes short monographs by young writers aimed at providing alternative views of Israeli culture and society. Aron Sfarim Yehudi ("Jewish Bookcase") is a series dedicated to the publication of landmarks of Jewish tradition and thought. Am Oved also publishes non-fiction series in collaboration with distinguished academic and research institutes such as Hebrew University, Tel Aviv University, Ben Gurion University, the Open University, the David Hartmann Institute, the Rabin Center, and others. In an era when economic considerations have tended to push aside modest-selling genres such as poetry, Am Oved is particularly proud of its Poetry program, directed by Nitza Drory-Peremen. In fact we have recently increased our output in this domain, featuring both translations from other languages (such as S. Shiffra and Y. Klein's major anthology of ancient Mesopotamian poetry and several books by the great Yiddish poet Avraham Sutzkever) and contemporary Hebrew poetry (including work by Dalia Fallah, Tamir Greenberg, Zali Gurevitch, Salman Massalha, Haviva Pedaya, Aharon Shabtai and Nathan Zach). Am Oved books are consistently well received by reviewers and by the reading audience; hence the multitude of our titles found on the bestsellers' lists. Our editors and translators are among the best and most experienced in the industry, and the production of our books is meticulous and consistently of the highest quality. We are keenly aware of today's marketing requirements both in our care for our book and jacket design, and in embracing innovative marketing strategies, trying to reach, as was envisioned by our founders, Hebrew readers of all walks of life.